Gareth Evans, one of the most brilliant philosophers of his generation, died in 1980 at the age of thirty-four. He had been working for many years on a book about reference, but did not complete it before his death. The work was edited for publication by John McDowell, who contributes a Preface. 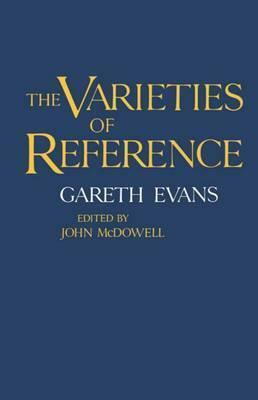 The discussion in this book range over all the main kinds of referring expressions, starting with the work of Frege and Russell on singular reference. The work is guided by the view that an understanding of how singular thoughts relate to objects is essential for a proper treatment of the linguistic device by which such thoughts are expressed. It will be of interest to psychologist and philosophers of mind as well as to philosophers of language and linguists.